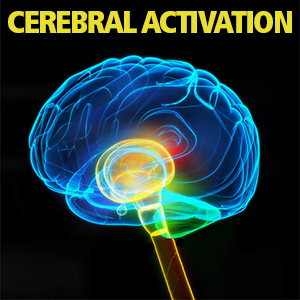 Details: Cerebral Activation / RX, Stim, Enhance (Very Strong) / 45 Minutes / This dose attempts to stimulate the outer most area of the brain known as the Cerebral Cortex. This dose may be useful to higher thought processes including speech and decision making, memory, attention, perception, cognition, awareness, thought, language, and consciousness. Some have found this dose to be beneficial to Third Eye activation, and works well as a science-base for other spiritual level doses.